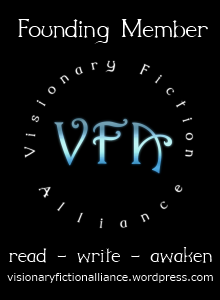 The Visionary Fiction Alliance website is presently running a series of posts to celebrate its launch, written by its founding members. Today is my turn. The article is titled: Visionary: Fiction of the Future, a slightly edited version of a guest post that I originally wrote for the VF web-ring. Head on over and say hello. This is just a quick post to say that though I’ve not posted for a while (and didn’t anticipate being so slow), I’m still around and hope to start blogging regularly again soon. The reasons for my absence are to do with personal and work distractions, but I have lots of news to share, so watch this space. In the meantime, anyone coming through from today may notice a new banner in the right-hand column of this page, headed: ‘VFA Founding Member’. 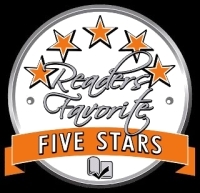 It stands for ‘Visionary Fiction Alliance’ (sounds grand, doesn’t it?). The web-ring that Jodine Turner, Shannan Sinclair and I started just a couple of months ago has already attracted 12 authors and we are about to launch a whole site dedicated to the promotion of visionary fiction. More to come later.